This free resume template has a grey column to the left with a monogram in the top left corner. 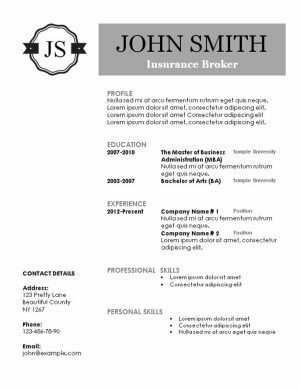 This simple yet creative resume template has a grey background on the top of the page with the applicants initials in the top left corner. 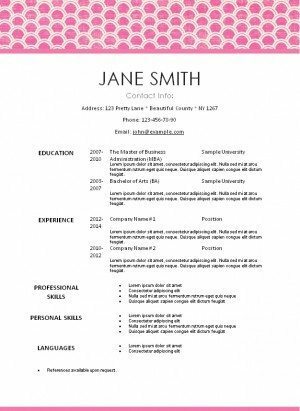 This resume template has a pink pattern on the top of the template. 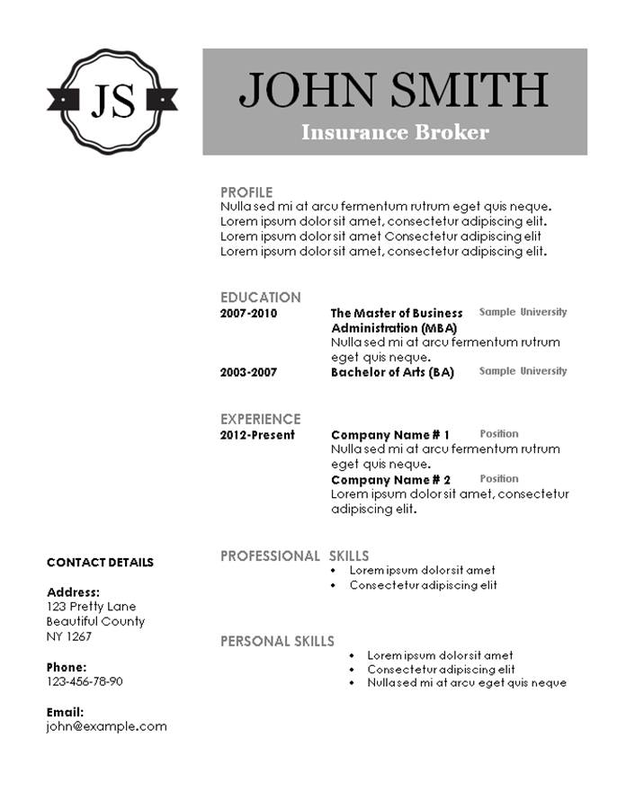 It has a very modern look. 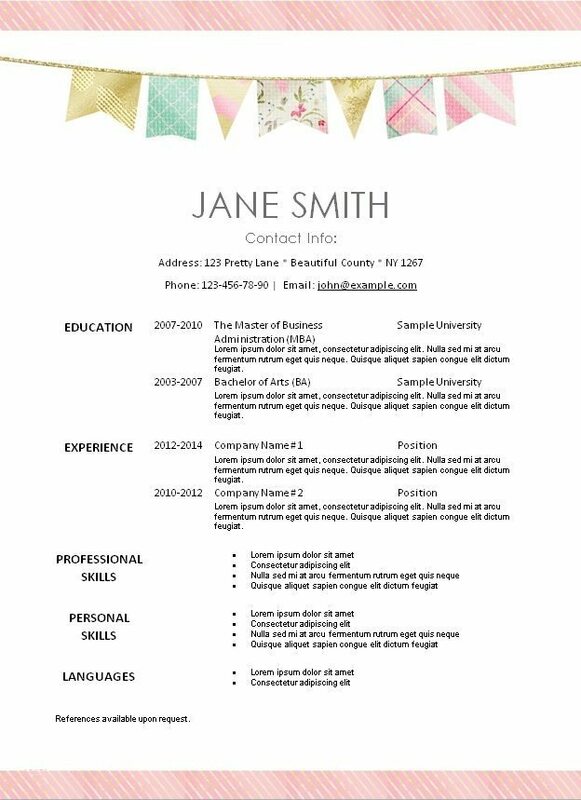 This resume template is very girlish. 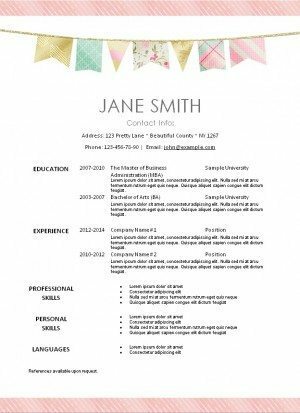 It has a pretty pink stripe with a banner in pastel colors with splashes of gold. 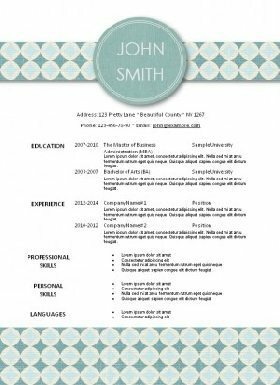 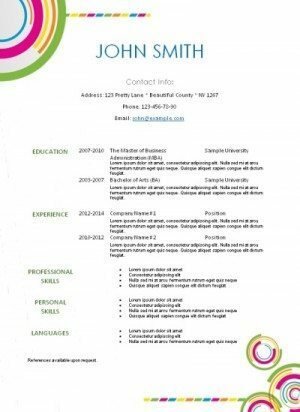 This resume template has very subdued colors but it still has a modern look without using bold colors. 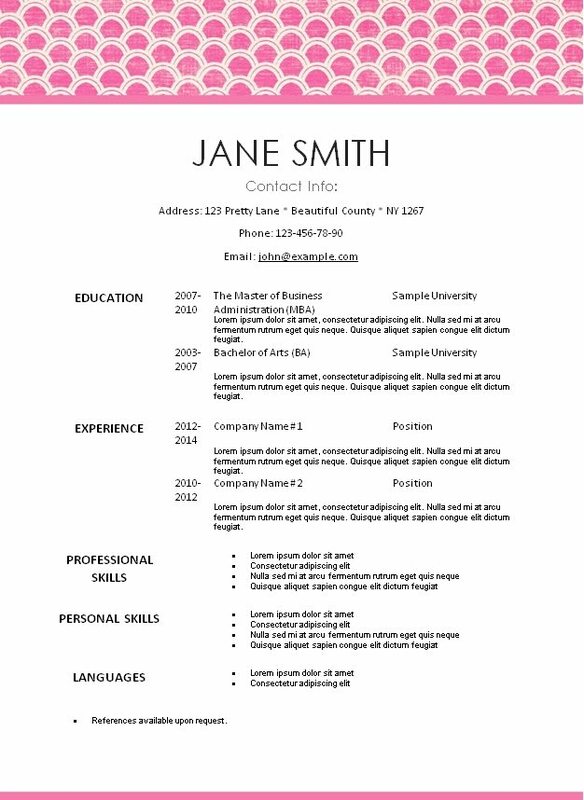 This is a pretty template for resumes with a teal colored background. 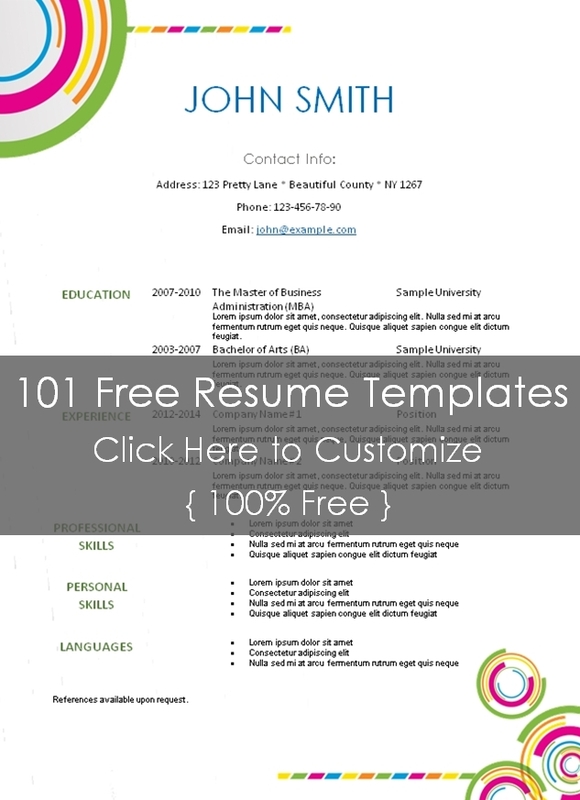 It will stand out and draw attention since it is very different than most resume templates. 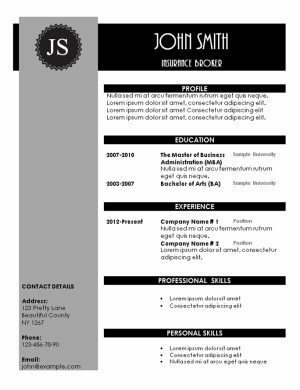 This is a contemporary resume template with a modern design to add a bit of interest. 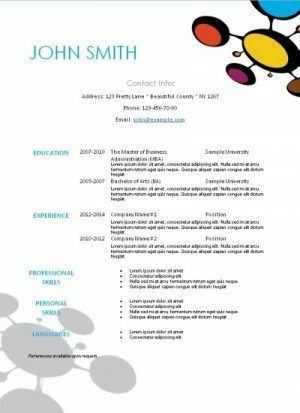 It is perfect for young job seekers looking for a part time job or older job applicants looking for creative jobs in marketing or other such jobs. This modern resume template has a colorful border on the top and bottom of the page. It could be appropriate for a job where aesthetics is a must such as a beauty consultant or beautician. 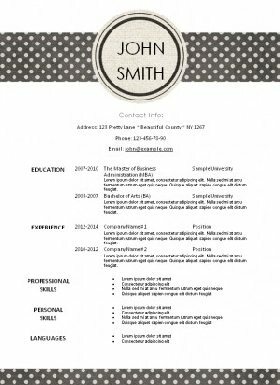 It is guaranteed to stand out when too many applications have been submitted which is very often the case.